Palmer Independence TCV Model 24S $5695.00, includes Rear View Mirrors, License Plate Light, Vin Placard, and Title Sheet. *PRICES AND PRODUCT SUBJECT TO CHANGE WITHOUT NOTICE. Click here for an Information Request Form. A full differential gear drive. Climbs any San Francisco hill. 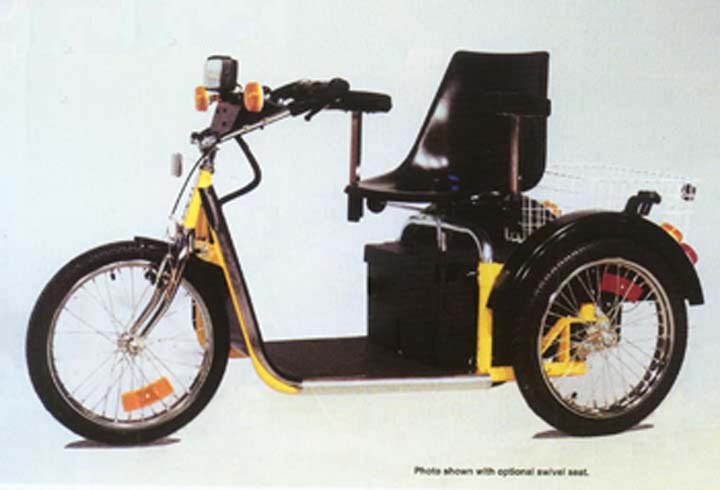 The Palmer Independence Scooter can qualify for some insurance purposes as a mobility aid, an electric wheelchair, electric scooter or Power Operated Vehicle (POV) for the disabled. PRICE: $5495.00 plus shipping. Shipped fully assembled.